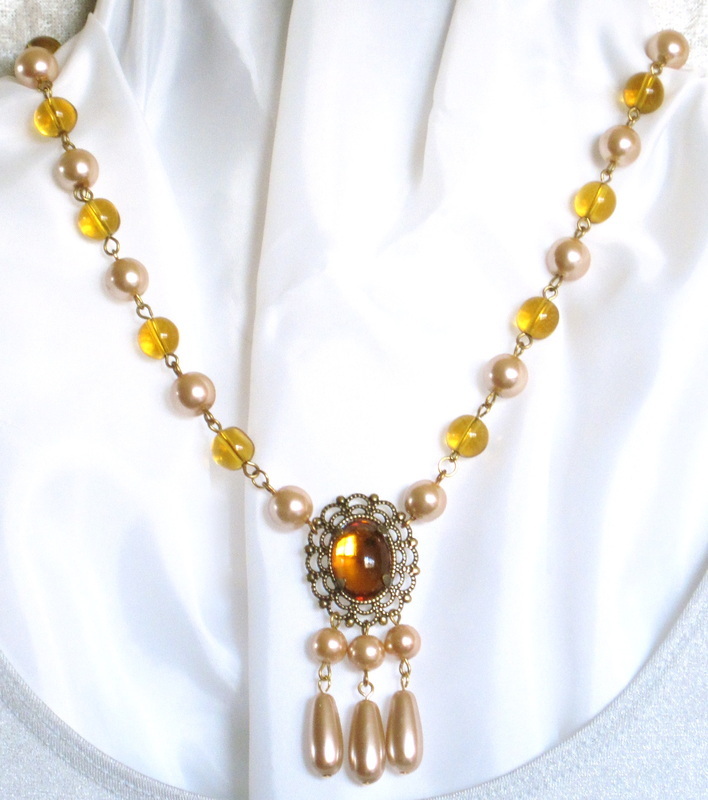 Another simple, elegant necklace and earring set to give that finishing touch to any outfit, especially your Ren garb! 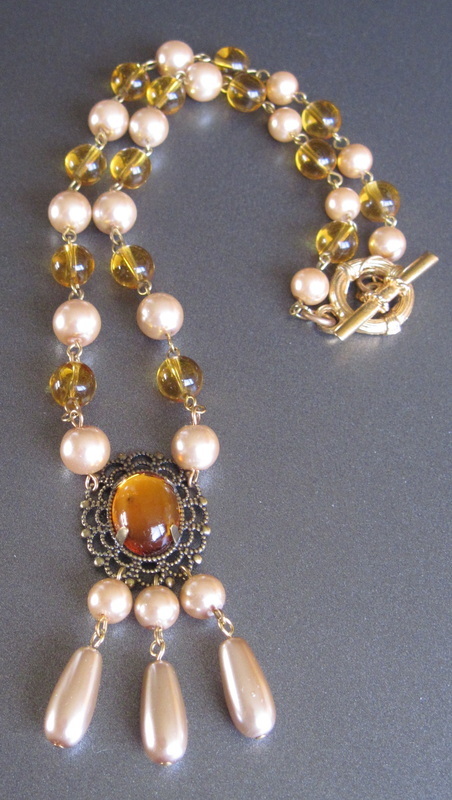 Bronze tone glass pearls harmonize with soft, amber colored glass beads. 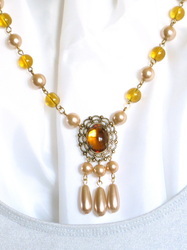 A large, glowing amber colored cabochon provides interest, and three teardrop pearls complete the medieval/renaissance look. 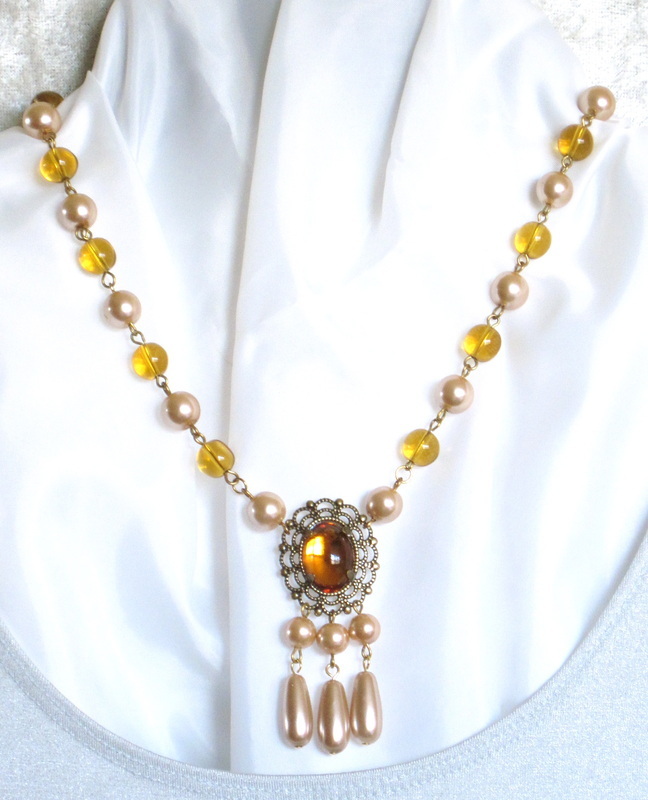 I used the best Czech glass and glass-based pearls for this set, so it drapes well. 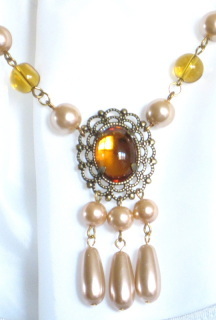 You will enjoy this set for a long time to come. 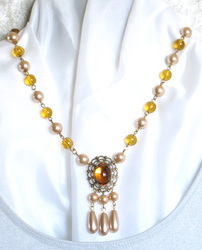 The necklace measures 26"; the matched earrings extend 1" from surgical steel french hook ear wires.